I’m an avid Accies fan and feel well qualified to tell you it has been an awful season so far. Signings are needed in the January window if the team are to be sure of avoiding relegation from the SPFL Premiership. Hamilton rarely spend any money, tending to feed off the last scraps available at the end of the transfer market, which can make it difficult to identify players that the club might sign. However, for Pure Fitbaw I will outline issues with the current squad and profile a couple of free agents and bargain deals that could help save the season. The Lanarkshire outfit currently sit tenth in the twelve team SPFL Premiership. But for being able to rely on other teams to beat Dundee and St Mirren that position could have been even worse. Hamilton have shipped forty-three goals which is the second most in the league and have scored the least with just fourteen. After a clear out last summer they signed some quality players including experienced centre back Matthew Kilgallon and right back Aaron McGowan but football is a team game and Hamilton can’t put their hopes in the hands of just a few players. The Accies failed to adequately replace many good players including Greg Docherty (shown below performing well in England’s League One), Ali Crawford, David Templeton and Lewis Ferguson. Hamilton boss Martin Canning admitted last week that his side deserves to be in the bottom three and they must improve. Many fans believe that former Accies defender Canning is in fact the main cause of poor performances and that his time is well and truly up. However, newly appointed chairman Allan Maitland has stated that the manager is going nowhere and that he will be backed with funds to improve the squad. Maitland believes that the team is in need of an overhaul and that the players haven’t been good enough noting that strikers ‘who can score goals’ are especially needed. It is expected to be a busy transfer window. It is fair to say that Hamilton have been woeful up front this season. Strikers Mason Bloomfield, Rakish Bingham and Fredrik Brustad have scored just three goals between them in the league campaign so far. This is clearly not good enough for any Scottish Premiership side. Accies fans don’t expect a lot from their strikers, due to the limited number of goal scoring opportunities they get, but what we do expect is fight. In my view Bloomfield (although he has been recalled by parent club Norwich and didn’t get much of a chance), Bingham and Brustad do nothing off of the ball, don’t look interested often enough and don’t appear to have a natural striker’s instinct to get in the box or pounce on mistakes. A goal scorer is what is needed for Accies: someone who puts the ball in the back of the net regularly and is confident. A bit of height would be a bonus too as we often play high balls. In addition, some creativity is needed to replace that which was lost in last summer’s clear out. I cant believe that some Scottish football fans haven’t heard of this guy. 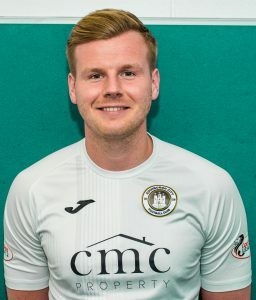 Just like Ayr United and Lawrence Shankland, as soon as I see an Edinburgh City score I just know its going to be Blair Henderson’s name on the scoresheet. I tweeted about hoping to sign Shankland during pre-season but Hamilton have long missed that boat. We need to get onboard the Henderson one now! Accies have no physical threat up-front at all and the 6’4″ striker would provide that. The Scotsman also knows where the back of the net is: scoring twenty-six goals in thirty games in all competitions this season which has helped his side go to the top of the Scottish League 2 table and provide a title challenge to Peterhead and Clyde. Henderson doesn’t just score tap-ins. He works very hard off the ball to make his own chances which would suit Accies as we lack a consistent, creative midfielder. Edinburgh City will be after a reasonable fee for Henderson’s services but he could potentially be the new Tony Andreu or David Templeton type that Hamilton have really missed. Someone who, when they get the ball, makes fans think that something is going to happen. Hamilton currently have no wingers and the best fit might have been Joe Cardle. However, Partick Thistle have snapped him up. I was surprised to see Gregg Wylde had been released by Plymouth Argyle and he may have been a good alternative but I woke up this morning to discover that he is signing with Livingston. As an Accies fan this is very frustrating to see: we should be competing with the likes of Livingston for transfer targets. I’d now say Michael O’Halloran could solve our problems. 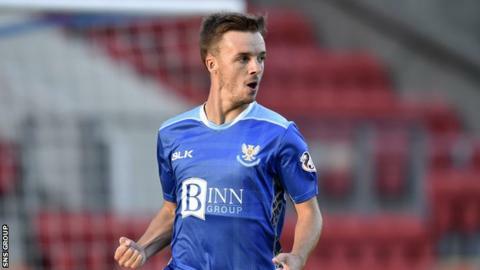 The former Saint Johnstone and Rangers winger signed a two year deal with Australian side Melbourne City but was released after seven months after feeling home sick. The winger only made three sub appearances and is in desperate need of game time, so a move to South Lanarkshire could do both parties well. Accies have struggled to create opportunities all season. Steven Boyd, Mickel Miller and James Keatings are all far too hot and cold for my liking. Stefan Scougall could be the answer to the problem. The former Sheffield United midfielder was released by Tommy Wright at St Johnstone early in the January window and I would take him at Hamilton without a doubt. The twenty seven year old made just twenty four appearances for the Saints since joining in 2017 which shows he was clearly struggling to get a game. Scougall is quite injury prone and that reduced his chances down in Sheffield and at St Johnstone. If he can overcome his injury problems and play regularly he would a fantastic signing for the Accies. If I was to pick the most likely signing out of these it would probably be Chris Erskine. Erskine has not had a sniff of first team football for Partick Thistle all season and it has been rumoured he has been told he can leave by manager Gary Caldwell which has sent Thistle fans unsurprisingly into meltdown. A statement from Thistle said that Erskine’s future is in his own hands but he has an offer from another Scottish club. When the Jags got relegated last season I thought they would be losing a player like Erskine and that if he stayed he would be play a huge role in trying to get them back into the Premiership. The thirty one year old has real quality which Accies are missing and could be a great signing. In addition Erskine will be desperate for minutes so this would be a good move for both club and player. The January transfer window could decide Hamilton Academical’s season. I expect big personnel changes but as of yet there has been absolutely nothing which is very concerning for me. We haven’t been linked with anyone and haven’t released anyone. I’m hoping something happens soon for the fans to get excited about as it has been frustrating seeing good players go to clubs that we could easily compete with. We need to sign a couple of good quality players and shift the deadwood. Tell Pure Fitbaw which of these four you want Accies to sign, who else we should look at and who should leave the club. Next article Shut the Window? !